Stressful experiences have been implicated in the onset of diabetes in individuals already predisposed to developing the disease. A number of research studies have identified stressors such as family losses and workplace stress as factors triggering the onset of both Type 1 and Type 2 diabetes. Stress is a physical and mental reaction to perceived danger. Conditions that seem uncontrollable or require emotional and behavioral change tend to be perceived as a threat. When the body and mind sense a threat, they get ready to either run or fight. Whether the threat is real or imagined, the body prepares for survival by turning up some bodily functions while turning others down. In either case, over time these changes are serious and over time are harmful. Stress is difficult to define or measure. Some people thrive on a busy lifestyle and are able to cope well with daily stresses. Other people feel tensed or stressed by the slightest change from their set daily routine. Most people fall somewhere in between, but may have periods when levels of stress increase. 1.Not being able to sleep properly with worries going through your mind. 2.Being impatient or irritable at minor problems. 3.Not being able to concentrate due to many things going through your mind. 4.Being unable to make decisions. 6.Not enjoying food so much. 7.Being unable to relax, and always feeling that something needs to be done. 8.Feeling tense. Sometimes ‘fight or flight’ hormones are released causing physical symptoms. B.A ‘knot’ in the stomach. C.Feeling sweaty with a dry mouth. E.Headaches and muscle tension in the neck and shoulders. It is widely recognised that people with diabetes who are regularly stressed are more likely to have poor blood glucose control. One of the reasons for this is that stress hormones such as cortisol increase the amount of sugar in our blood. High levels of cortisol can lead to conditions such as Cushing’s syndrome, which is one of the lesser known causes of diabetes. Recent studies have shown that a relatively high number of diabetic patients may have unsuspected Cushing’s syndrome (CS). Hypercortisolism refers to a range of conditions characterised by an excess of circulating corticosteroids. 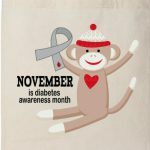 Stress is a major contributor to diabetes, but a lot of people don’t understand what stress is or what to do about it. When you’re threatened with job loss or eviction or the breakup of your marriage or children problems or the thousands of other potential threats in modern society, you can’t fight, and you can’t run. You just sit there and worry. The stress isn’t over in a few hours either; modern stresses often act on us 24/7, week after week. The healthiest way to deal with stress is with physical activity. Stress tries to help us survive the only way it knows how, by getting us to move. If you don’t exercise, most of the glucose your body puts out will turn into abdominal fat. That’s why stress and inactivity are a lethal combination. So get out and run or swim or bike or walk your dog. Consider exercise that makes you stronger and tougher — kick-boxing, weight-lifting. You’ll wind up feeling more confident and therefore less stressed. Getting active means more than just exercising. We’re usually better off taking a more active role in our own lives, meaning we don’t let the media and other people decide what we eat and what we do. We decide for ourselves. When we can decide what’s important to us, when we connect with other people to live in ways that are meaningful to us, we will have less stress and better blood sugar control. Once you’re in the habit of being physically active, try to incorporate regular exercise into your daily schedule. Activities that are continuous and rhythmic—and require moving both your arms and your legs—are especially effective at relieving stress. Walking, running, swimming, dancing, cycling, and aerobic classes are good choices. Pick an activity you enjoy, so you’re more likely to stick with it. Instead of continuing to focus on your thoughts while you exercise, make a conscious effort to focus on your body and the physical (and sometimes emotional) sensations you experience as you’re moving. Adding this mindfulness element to your exercise routine will help you break out of the cycle of negative thoughts that often accompanies overwhelming stress. Most people suffer from stress at some time in their lives. An understanding of the causes of stress and learning to avoid stressful situations will help alleviate some of its negative consequences. Some people also find it useful to use one of the many techniques or other approaches to relaxation to help manage stress themselves. Your suggestions about how to reduce stress are spot on. It is crazy to think that the more stress that we have in our life the more likely we are to develop diabetes. Especially since when we are stressed we tend to stress eat which are usually foods very high in sugar. Thanks for the info! Thanks for leaving a comment on this post. Stress management like practicing prayer meditation can teach you healthier ways to cope with stress, help you reduce its harmful effects, and prevent stress from spiraling out of control . No matter how stressful your life seems, there are steps you can take to relieve the pressure such as changing the stressful situation when you can, changing your reaction when you cant, taking care of yourself, and making time for rest and relaxation. I’m glad that you brought up stress, and how stress levels can affect your health. I was surprised to read that high stress levels could trigger Type 1 diabetes. I’m not surprised to read that it could trigger Type 2 diabetes, but I didn’t think that could have an affect on Type 1. Stress can be such a powerful detriment to our health and well being, and learning how to manage it is critical. Stressful life events in childhood such as a family break-up, death or illness, can triple the risk of developing type 1 diabetes. In a study, researchers found that children who experienced an event associated with major stress were almost three times more likely to develop the condition than those who had not. The causes of type 1 diabetes are unknown but it is usually preceded by the immune system attacking and killing beta cells in the pancreas, which produce insulin. A child from a family in which another close family member has the disease has a 12-fold increase in risk of developing type 1 diabetes. It is important to note that, while instances of stress might coincide with or even contribute to a diabetes diagnosis, it is highly unlikely that such events would be the only cause, and having a history of type 1 diabetes in your family is still a much more important risk factor.